Another week, another round of destroying my kitchen. It's honestly therapy for me. I like the super simple, make in fifteen minutes recipes and the destroy my kitchen in an hour recipes. 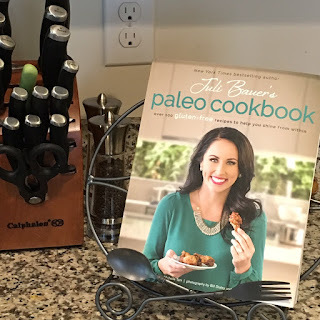 Juli Bauer's Paleo Cookbook is next up on my Paleo cookbook tour. My friend Jess has been sending me recipes from Juli Bauer's blog, PaleOMG, for at least a year. I've tried a few, but it wasn't until we did Clean 14 and I thought about honestly trying out Paleo that I really started paying attention. The girl crush is strong with this one. Besides making really, really good food, she's a sarcastic nut. I like those people. They are my people. She's written two other books: The Paleo Kitchen and OMG. That's Paleo?. I was able to get The Paleo Kitchen from the library, but it wasn't my fave. I was a little sad. I flipped through the pages, but it didn't look like Aaron and Sarah food. I'm not wasting my time making food I don't think we are going to love. The library didn't have the other two books, so I perused them at Barnes and Noble. Confession: I heart Amazon a whole lot. I've had prime since I was a grad student and in the words of Rick Astley, "I'm never gonna give you up." But I do like to preview before I buy. So sometimes I head to Barnes and Noble, get a coffee and peruse my books before ordering off Amazon. Terrible, I know. I consider it my research. So, I bought Juli Bauer's Paleo Cookbook. I really, really do not need another cookbook. At all. I have a problem. But I love books. Ipads and phones just aren't the same. And I will say that this book was worth every penny I spent on it. Let's talk the awesome stuff. Pretty much every Paleo Cookbook I've read talks about setting up your Paleo kitchen, what you need, what you don't need, etc. I find it helpful because while everyone's lists are similar, they are a bit different. 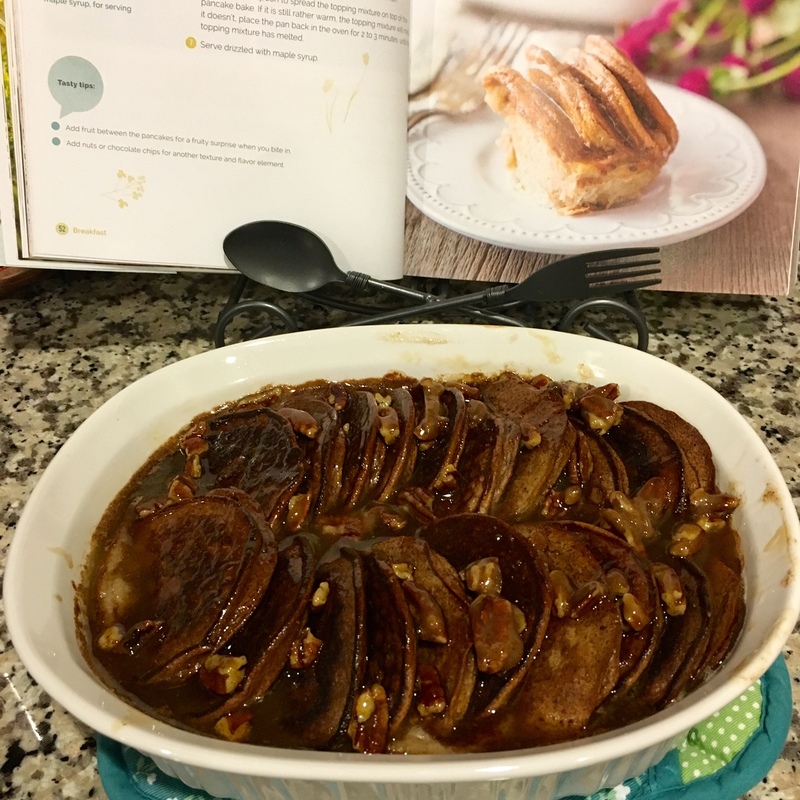 I liked Primal Cravings lists of food and kitchen tools better, but Juli's is good. What I l-o-v-e about her book is the rules for making Paleo work. They are simple, but oh so true. For example - quit complaining about the cost. That was a hard one for me. It is more expensive, but we've found ways to make it work and break the bank less. I also like that she lists what's in her kitchen and she tackles the gray areas in Paleo - potatoes and dairy. I find it's a really nice complement to some of the other books we've tried. Really, this is what it's all about. And we've made a ton from this book! The first recipes I started with were breakfast. Breakfast was the hardest meal on Clean 14 and trying to stay mostly Paleo meant trying to find some good alternatives. We made Dirty Chai Chocolate Muffins, Mini Cinnamon Pancakes and Mini Cinnamon Pancake Bake! Dirty Chai Chocolate Muffins. So, so good! Mini Cinnamon Pancake Bake. Reminiscent of one of my fave Paula Deen recipes! When I made the Pancake Bake, I made two batches of the Mini Cinnamon Pancakes. The Pancake Bake recipe uses one batch, so I made two so we could have the bake for dinner and pancakes for breakfast the rest of the week! It was an excellent decision. I also made the Buffalo Chicken Casserole (bonus! this recipe is actually online!). I made everything in one pot, so the pot looks a little gross. Less dishes for the win! This guy was a beast to make. It was actually a dinner fail! I didn't read the recipe all the way through (I have a nasty habit of that) and started making the meal at about 6 PM. It clearly states it's going to take about two hours. Then, I also misread the part about using ground chicken instead of chicken breasts. And the chicken breasts I had were huge and not completely thawed, so they took another 40-minutes to cook all the way through. So we didn't actually eat the casserole that night, but the leftovers were ah-mazing! Read your recipes people! Or don't. Whatever makes you happy. 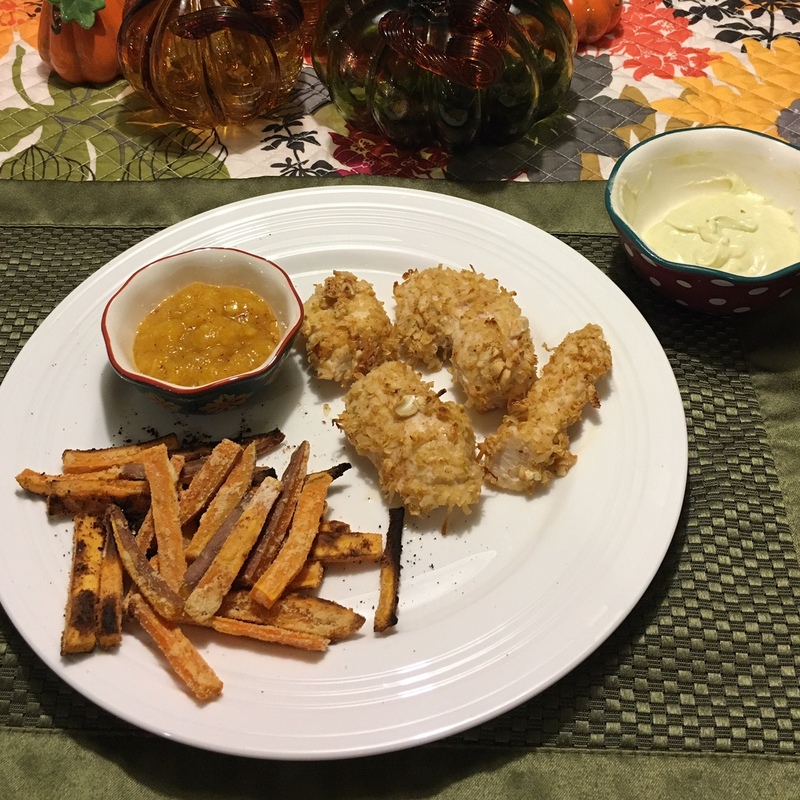 And finally, the Coconut Cashew Chicken fingers. I made this with sweet potato fries from the next cookbook I'm reviewing, Against All Grain. This was one of those destroy your kitchen in an hour recipes, but it turned out really good. And it made leftovers, which made all the work worth it. Aaron's still not finished doing dishes though! So far, this has been my favorite book. I've yet to make anything that wasn't amazing. And, bonus, she's got a podcast AND a blog. So you're never without your Juli fix! That buffalo chicken casserole looks delicious! These recipes look amazing. That pancake casserole yummy. okay i need to try that buffalo chicken casserole recipe. it looks amazing! This sounds so interesting! I definitely need to check out that cookbook.